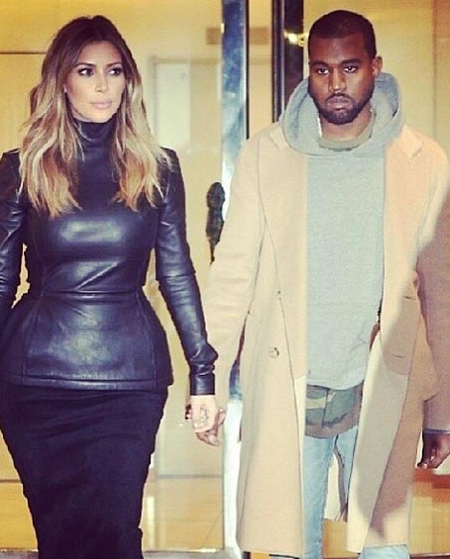 Kanye West gives the entire Kardashian Klan a make-over demanding they wear only black, white, and edgy looks. First Kanye made over his fiancée Kim Kardashian, now he’s working on the rest of her clan. The spotlight will be on the Vogue cover couple at next week’s Met Gala, which sources say they’re attending. West, who’s working on his own clothing line and has collaborated with French brand A.P.C., Adidas and Nike, is the one responsible for getting his fiancée out of those déclassé bandage dresses and into a more couture, tailored wardrobe.